One of the great things about the Mac is just how simple it is to install most applications—just drag-and-drop the application from the mounted disk image into the Applications folder (or destination of your choice), and you’re done. More complex programs, such as VMware’s Fusion or drivers for printers, mice, and graphics tablets, require the use of installer program. Typically the installer will also request your administrative password, as the program needs to place some files in system-owned folders. Still, even if you have to use the installer, I’ve always thought installing software on the Mac was about as easy as it could possibly be. At least, I thought that until just recently. An iChat session with a friend of mine who’s recent Windows convert, however, has convinced me that even something that appears simple can trip up those new to the Mac platform—especially when the application developers make assumptions about a user’s knowledge level. Now, if you’ve been on the Mac for a while, the above image is most likely perfectly clear to you—just click-and-drag on the left-hand Firefox icon, and drop it on the convenient alias to the Applications folder on the right-hand side. But consider if you knew nothing of the Mac. My friend said he was confused by the imagery. The icon was so well integrated into the background that he thought it was a picture demonstrating what he needed to do, not the actual program sitting there ready for him to drag-and-drop. From there, he clicked Next a couple of times, then clicked Install, and it was done. This type of installation is the norm in the Windows world. The drag-and-drop ease of installing on the Mac is still new to my friend. 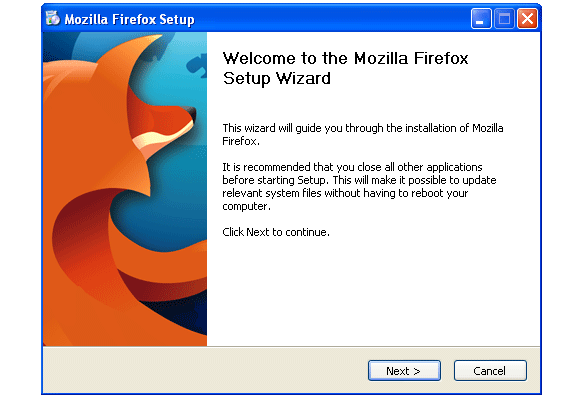 He even commented at one point that the recently-release VMware Fusion update for his Mac was “much easier to install” than this new version of Firefox. That’s because Fusion uses the Apple Installer, which results in a more Windows-like installation process, with instructions and buttons to click to complete the process. A good example of a developer who does it right is Doug Adams, creator of Doug’s AppleScripts for iTunes. Just take a look at the download page for Needle Drop, for example, to see a screenshot of its Disk Image window. In addition to the graphics, there’s text that explains exactly what the user needs to do, which should (hopefully) eliminate any questions the user might have about installing the software. Installing software on the Mac is generally very simple; developers just need to remember that not everyone using a Mac has been doing so for years. A little bit of text, in addition to the lovely graphics, can go a long way to preventing needless tech support inquiries.